Amazing Farmers Porch just missing a few rocking chairs and good friends! Custom home with a great layout on a large corner lot. Wood floors throughout. First floor bedroom and full bath(possibly a master). Two bedrooms, a full bath and a reading nook upstairs. 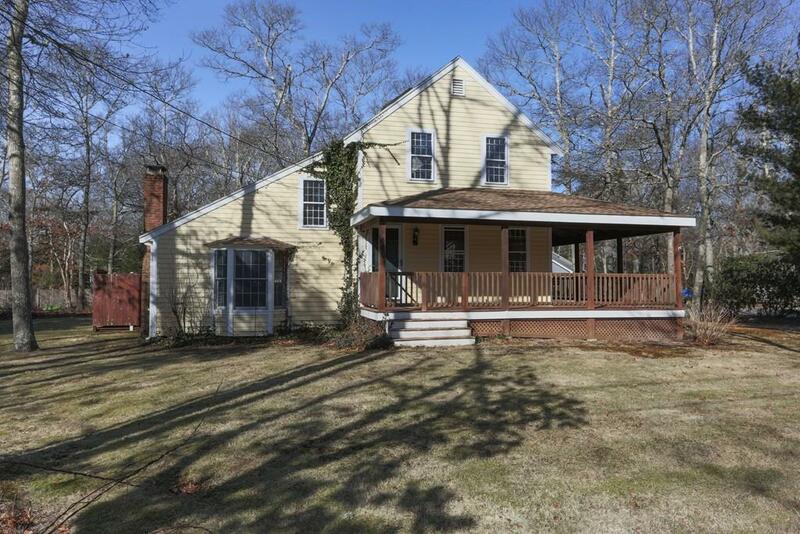 Outside you'll find mature landscaping, good size deck, outdoor shower, shed and of course, the amazing Farmers Porch. Freshly painted and with a little more effort this house will be a showpiece!